It’s Back! 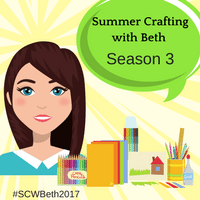 Season 3 of Summer Crafting with Beth! We are so happy that you are here to join us in the fun. Follow along with us for the next 8 weeks of summer. We will be giving you free printables, craft ideas and outside activities to keep your kiddos entertained! Tag us in your pictures @primepestga & check us out on these other social media platforms FB, Instagram, Pinterest, Twitter. Today we will be painting ice blocks! 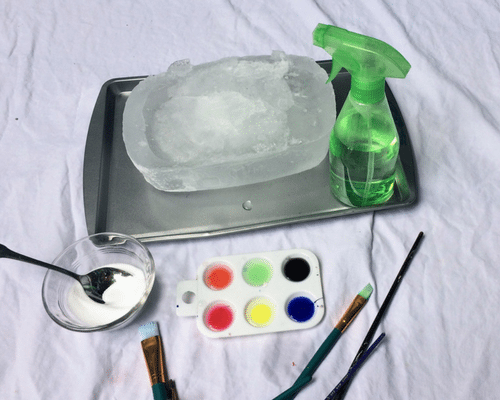 So, grab a block of ice, some paint and head outside! First, a few days before you plan on doing this activity, you will need to make your block of ice. You can use tupperware, cookie sheet, foil baking pans or whatever you have lying around. We used a big tupperware container. Next, gather your supplies and head outside. We like to work on a sheet, but it’s your preference. 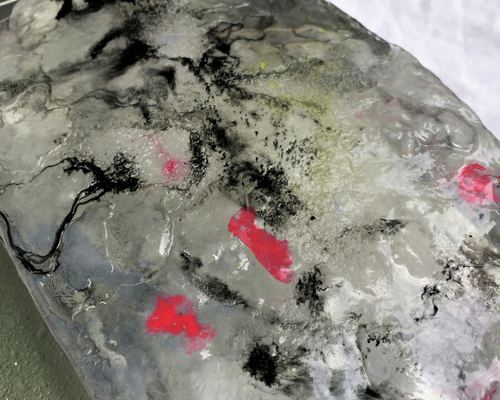 Use the watercolors to paint designs on your block of ice. After you finish with one design,use the spray bottle filled with plain water and wash it clean! 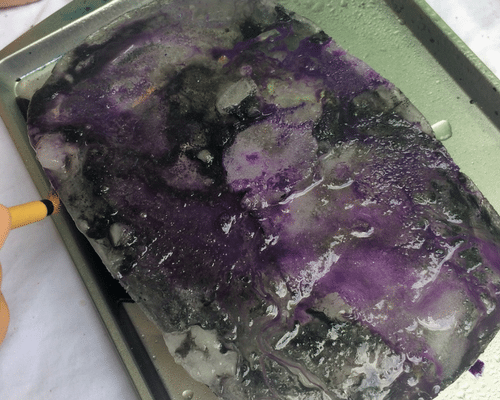 For even more fun, use the salt and pour it onto sections of the ice block & watch creators appear! Usually the painting lasts for about 20 minutes and then the kids start attacking the ice with sticks and spoons! Let your kids guide the activity…follow their artistic lead. There’s no right or wrong here. Happy Crafting! Join us here next week for Week 2 – Coloring pages for kids & adults!